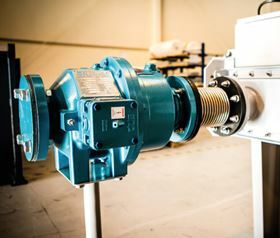 Recent major investments are enabling SPP Pumps to focus on its transformer cooler product range, allowing the company to offer solutions for oil circulation pumps in the transformer industry. At this year’s PowerGEN exhibition, taking place in Amsterdam from 9th to 11th June, SPP will particularly showcase its new range of pressure die cast cooler pumps for power distribution and locomotive transformer applications. “Efficient cooling by effective and dependable oil circulation pumps is vital to the performance, reliability and longevity of transformers,” says George Wright, Head of SPP’s Transformer Oil team. “For those who appreciate that it’s not worth taking chances on this, SPP’s models of pumps give extra confidence by ensuring the highest levels of protection where it really matters.